The Beats by Dr. Dre are known far and wide as one of those chic and expensive headphones that are usually a hit or a miss when it comes to sound quality. Most audiophiles avoid them like the plague because much better sound quality is found in the headphones in the same price range as Beats headphones. They are certainly not the best noise cancelling headphones around, but they have been trying to get the award for the most stylish and best in ear headphones with the Powerbeats range. 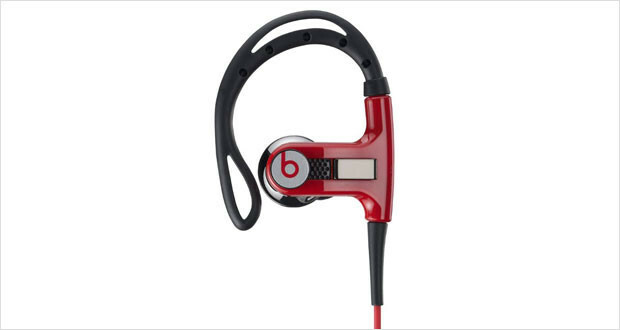 The Powerbeats by Dr. Dre headphones are a pair of earphones designed for sports and gym. With an ear hook, soft rubbery material and a tight fit into the ear, these are made for a lot of running, jumping and swathing with sweat, unlike much of their range. 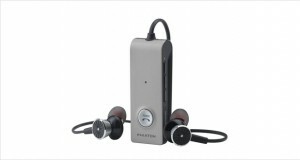 While the design features are certainly around – they look quite hot on the ears – they are not great performers unfortunately. 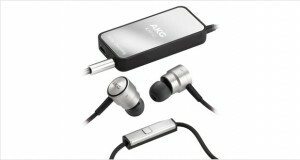 The sound quality is quite average for the kind of price this pair commands. The highs are lackluster, the mids are alright and the bass is just not very hard hitting as it should be. Add wire-noise to that and you have a sports disaster waiting to happen. How does one look good while being sweaty, stinky and out of breath? Well, they put on one of these Powerbeats. These are seriously quite fancy looking earphones, like the rest of the Beats line of course. Eye-catching chrome accents, cool shape of the ear-hook and the signature “b” logo on the outside of these earphones, all make one phenomenally good looking pair of earphones. Dimensions2 x 4 x 4"
The materials used in the construction – while eye-catching, were certainly not the greatest around in the durability section, or the sweat-resistance department. They seem a little easy to mangle around, while the sensitive parts are not adequately covered in resistant film. The ear hook is non-detachable, so for those who do not feel comfortable with them, these are going to be quite painful to use. Otherwise, the overall comfort level is quite above average. The highs lack lustre but have clarity that pulls the songs forward. Vocal clarity is quite decent, considering that these are Beats earphones. The lows are a disappointment – the advertised sub-woofer does not do very well and the thump and oomph factor are missing. The passive noise cancellation works like a charm, but there is a lot of wire noise that could have been reduced easily. The performance is overall quite average – nothing to write home about. If all you care about is looking good and having something on your ears that delivers better background noise than in the gym, these are the perfect headphones for you. Did I mention that they were expensive too? Yes, the Powerbeats by Dr. Dre headphones are quite expensive at the $150 range – where Klipsch and Shure in-ears dominate with their extensive and responsive quality. 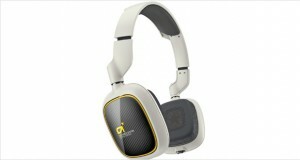 We would not recommend these pair of headphones, but you can take them out for a spin if you would like that.